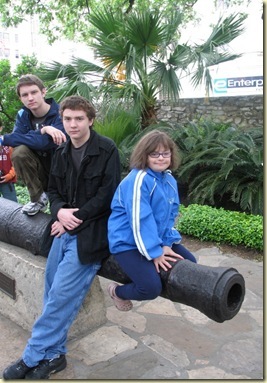 The kids and I made an effort to Remember the Alamo! this week. We spent a morning roaming the grounds, touring the chapel and museum and listening to the storytellers. 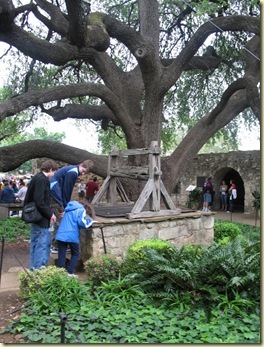 For those of you that are not familiar with the Alamo here is a brief history of it’s most memorable days. 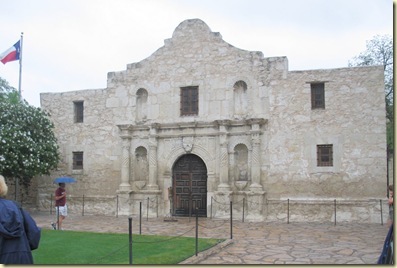 The Alamo was a mission built built by Franciscan missionaries in the San Antonio area during the 1700’s. In 1803 the property was turned into a Spanish military post which included a church that held services for the soldiers. In 1821 Mexico secured its independence from Spain and San Antonio officials swore allegiance to the new independent nation of Mexico. Alarmed by the growth in numbers of colonists moving into Texas from the United States, the Mexican government sought to slow immigration into Texas from the north, and to introduce more new residents from Mexico and Europe. In 1830 a law passed by the Mexican Congress prohibited settlement in Texas by immigrants from the United States, and canceled all colonization contracts. Colonists opposed the stance of the Mexican government and drew up a list of grievances against the government. As hostilities on both sides increased, General Antonio Lopez de Santa Anna led 2,000 Mexican soldiers into Texas and arrived at the Alamo on February 23, 1836. The Mexicans demanded unconditional surrender of the Texans. The Texan force retreated into the walled Alamo compound. Before dawn on March 6, 1836 the attack on the Alamo began. 189 heroes defended the Alamo for 13 days. At the end of the battle only the women and children and one slave were left alive on the Texan side. General Santa Anna’s losses were estimated at 600 men. The battle at the Alamo was lost by the Texans but the news of the battle rallied the Texans together and gave them time to organize and resist further oppression. The rallying call was, “Remember the Alamo!” Texans went on to defeat Santa Anna 46 days later at the Battle of San Jacinto. That is a another good story but I will leave it for another day. 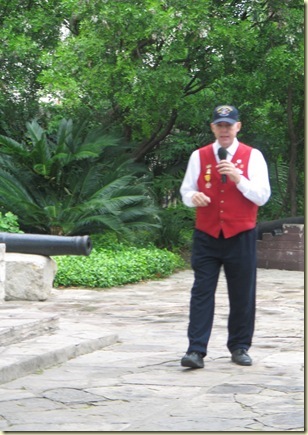 I must say that my favorite part of the Alamo experience today is the storytellers. 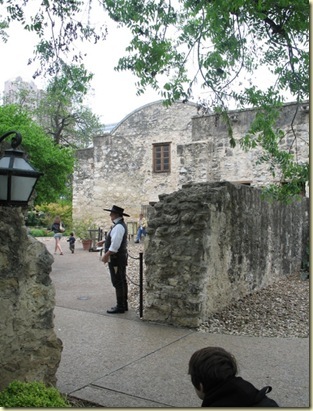 They stand in the courtyard of the Alamo and expertly tell the story of the battle for Texan independence. I find their stories gripping and I could sit and listen to them all day. The storyteller we listened to pointed out that the story comes down to a few men making a decision. They decided to elevate the value of freedom above the value of their own individual lives. And in the end they gave their lives so that others could live in freedom. That is why it is important for us today to Remember the Alamo! Beautifuly written, Deb. Thank you so much for sharing this with us today. Your kids are beautiful!